Search For "E-Commerce & IT Outsourcing" Companies in Fort Worth, Texas - Click Here Now! We Can Brighten Up Your Day And Night! Find Out How Much Money You Can Save On Your Energy Rates, Or How You Can Eliminte Your Bill All Together. Also Find Out How You Can Make Money Every Time Your Family, Friends, Neighbors And Coworkers Flilp Their Switch. Free To Switch For All Commercial Accounts! No Credit Check, No Deposits Required! 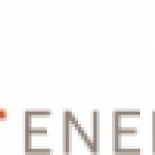 Ambit Energy, Independent Consultant in Fort Worth is a company that specializes in Computer Related Services, Nec. Our records show it was established in Texas.